Our booklets are simply beautiful! Each booklet is stitched, folded, trimmed and square backed and looks so good. 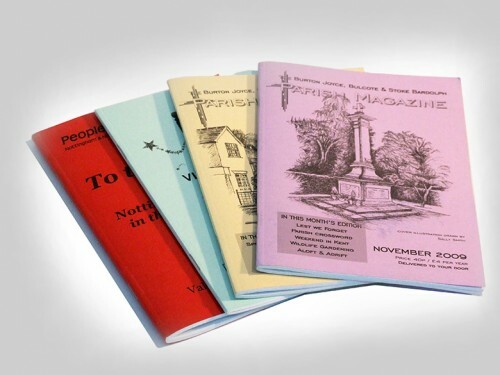 Ideal for church, parish and village magazines; instruction and information booklets, or whenever cost is prime consideration. 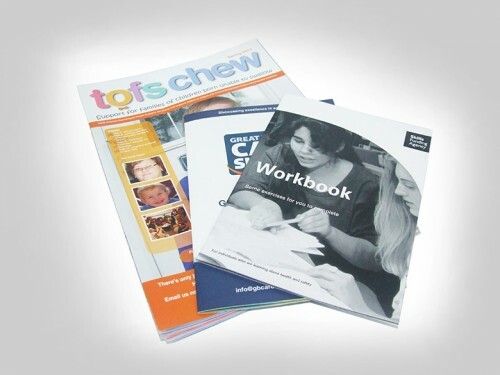 Online ordering: A5 and A4 size booklets from 8pp up to 88pp - thick and chunky!! Printed onto 75gsm hi quality laser paper. Each booklet is printed in superb quality colour and is stitched, folded, trimmed and square backed and looks so good. Ideal for brochures, product catalogues and newsletters. A printed booklet looks and opens just like a book but is usually much thinner with less pages. A small booklet is ideal for us at conferences or as sales brochures, while thicker booklets make great catalogues thanks to having more pages. When you order cheap booklet printing with Instaprint you select how many pages you require and quantity. You can also select a print finish and select separate options for your booklet front cover. You can view an instant online booklet printing quote and proceed to upload your booklet design. Through our website you can order booklet printing in sizes DL, A5, A4 and also square booklets. If you have more custom print requirements please don't hesitate contact our team who would be happy to help.